Federal candidates’ campaign finance reports for 2017’s 4th quarter were due this past week, and they once again give us a sense of where the money aspect of Iowa’s congressional races stand. The dynamics of the 1st District primary largely stays the same, while the numbers cast a slightly new light on the 3rd and 4th District contests. Starting Line will take a brief look at each district. 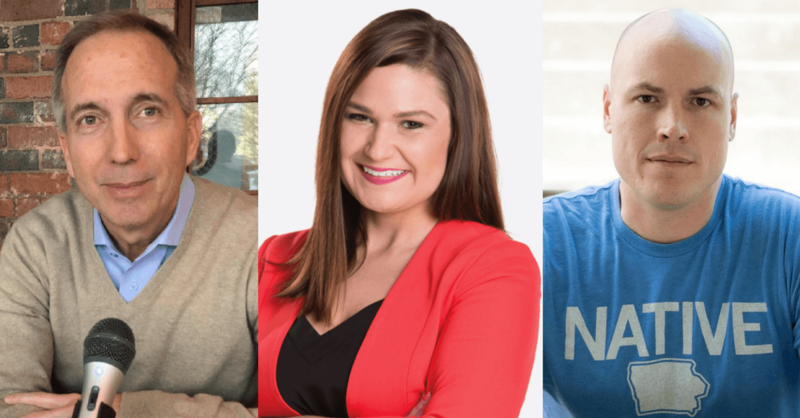 Abby Finkenauer’s $302,000 haul didn’t just surpass all the Democratic candidates in her race and the other districts – she out-raised every single incumbent member of Congress in Iowa, as well. And more than doubling up on Rod Blum, the incumbent Republican she hopes to take on, is a pretty nice accomplishment. PAC checks started pouring in for Finkenauer this quarter – $90,500 in all – as national Democratic, progressive and women’s groups see her as the likely primary winner and a formidable opponent to Blum. House Democratic leadership contributed to her campaign, too. This report didn’t change the calculus for the Democratic primary much – Finkenauer is still the clear frontrunner, while Thomas Heckroth has raised enough to run a full and serious campaign that could still surprise if done creatively enough. Not a lot to see here. Dave Loebsack should be fine with a massive war chest ready to use. The fundraising report from last quarter showed a strong initial filing from Theresa Greenfield and a surprisingly good total from Eddie Mauro. Many began to see Greenfield as a potential frontrunner and Mauro as a possible dark horse candidate that bared watching. This quarter muddles the race, with a trio of candidates in the top tier of fundraising power. Mauro bested the field thanks in part to another $100,000 loan from the candidate (he loaned $100,000 in the previous report, as well), while Cindy Axne boosted her fundraising numbers over her previous two reports, bringing her close to Greenfield in cash-on-hand. Greenfield continues to lead in the amount of money raised from individuals, while Axne looks to have the most individual donors, useful as most Democratic-leaning PACs are staying out of this up-in-the-air primary. All three will have the funds to compete on the airwaves. Mauro will likely have the most, thanks in part to a low burn rate for his campaign infrastructure. Pete D’Alessandro remains the wild card in this race. His fundraising to this point is not enough to fund a full operation or advertising blitz. But he was recently endorsed by Bernie Sanders – one of just a small handful of congressional candidates the Vermont senator has backed. That could bring in lots of small dollar donations from across the country and visits by Sanders – we’ll have a better sense of that after the next quarter’s report. The race to take on Steve King comes a little more into focus after this quarter. Activists in the district have been suggesting for months that J.D. Scholten will be the candidate to beat in this Democratic primary, and the fundraising numbers now back that up. Scholten’s $174,000 haul is a huge jump from his previous quarter when he raised just under $40,000 and spent nearly all of it. This time he almost doubled King’s fundraising and far outpaced the rest of the field. It seems he’s fully utilized the online fundraising network he inherited from Kim Weaver, bringing in contributions from all 50 states. Having funds to advertise before the primary is key here, considering most of the turnout in the 4th District primary will be driven by the gubernatorial race. It’s a spread-out district that makes it tough for candidates to get in front of enough people in-person, so ads online, in the mail and on TV will be critical. Cyndi Hanson, a Republican looking to primary King, doesn’t seem to be going anywhere right now. Now that most candidates have been in the race for multiple fundraising quarters, it may be interesting to look at where their total finance numbers for the cycle look like. Here’s how the candidates stand with to-date 2018 cycle fundraising (includes both money from individual donors and candidate loans). For Democrats Mauro is the one that impresses me so far. His fund raising totals show it. When I vote in the primary, I like to consider how much a candidate has raised. It shows their strength. He made an impressive showing at one of our Ankeny Area Democrats meetings. He was very good on the stump and answering questions. So far at this stage of the game he has my vote. Remember to subtract $200,000 from what he allegedly has “raised” — that is a loan to self, not a show of support. He falls several spots down the list with that backed out.